Lucas Martin went home to his loving Heavenly Father on April 6, 2018. Lucas was born in Ogden, UT on March 31, 1980 and grew up in the Clearfield area. Lucas worked many different jobs, but the one he enjoyed the most was working as the maintenance man for the Ben Lomond Hotel in Ogden, UT. Lucas loved to live his life to the fullest. 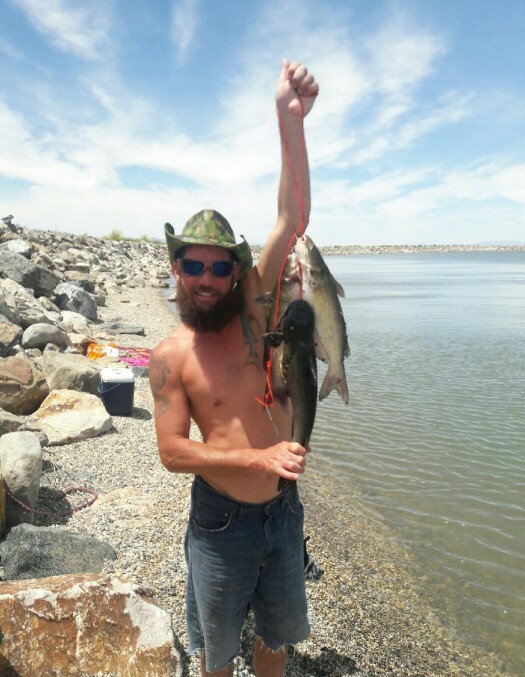 He enjoyed fishing, camping, and just being in the outdoors with his family and friends. He enjoyed participating in darts and pool leagues. He met the love of his life, Ruby Ann Martin, through a blind date while living in Ogden. One of the things Ruby loved most about Lucas was….Squirrel……. and that he was kind to everyone he met and loved to help others unselfishly. Lucas was there for many of his friends in their time of need. Lucas was very proud to be known as a mamma’s boy. Lucas is survived by caring and devoted wife, Ruby Ann Martin; son, Hunter Martin; stepchildren, Jack and Whitney Bingham and Desiree and Mellody Kilfoyle; his parents, Don and Linda Martin; sister, Donalin (Adam) Dover; and brothers, Kenneth, Jason (Angie), and David (Elizabeth) Martin, four nieces and five nephews. A memorial service will be held on Friday, April 13, 2018 from 6 to 8 p.m. at 1469 West 700 South, Syracuse, UT. Please come dressed in what you are comfortable in, that is what would make Lucas happy. Arrangements entrusted to Lindquist’s Ogden Mortuary, 3408 Washington Blvd. In lieu of flowers, memorial donations may be made to any America First Credit Union under the Lucas Martin Memorial Account.